The Race to Harness Power of Our Oceans: What’s taking so long? 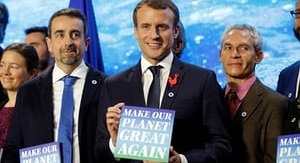 American Climate Change Scientists to Relocate to France? The Year Ahead For Low Carbon Heating: Is it a good time to change your home? What Lies Ahead For UK Solar PV in 2018?